When I came to New England my goal was to see snow! A Floridian by birth, I grew up feeling deeply deprived of this wonder of nature. In the years I’ve lived in New England I’ve seen snow in its many forms, and have not tired of it. However, the colors of fall, which are much more ephemeral, have become much more compelling to me the past few months. As I’ve prepared my educational slide show “Foliage Detectives,” the photos from last year have pulled me out of summer and immersed me in thoughts of autumn. What are the secrets to finding foliage right around the corner from where we live? What are “the rules”? Thinking about fall while in the midst of summer has offered me some unexpected perspectives. Fall is, in fact, a dying time. Change, closing in, letting go. In the midst of this change is stunning beauty. Adjusting one’s expectations can allow us to see what is right in front of us. 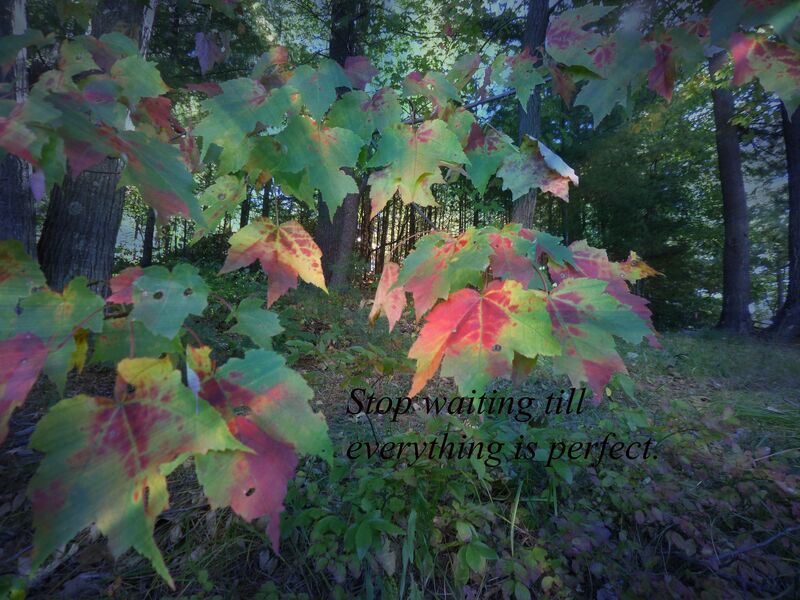 Slowing down and paying attention, making time to stop and really look is important. Being thankful helps. Trite, perhaps? Probably. After all, autumn happens every year in New England. And yet, like small children, we become excited as we sense the changes, anticipating the show. And then we start comparing, measuring, competing with memories gone by. Rather than looking for novelty, grand vistas, and stunning views, my hope is to encourage others to look closer to home, even perhaps in one’s own backyard. Instead of looking for the perfect, may we start seeing the gift of what we have. Thanks for commenting. I’m not sure if you’ve been to the Blackstone Gorge–it’s not far from here, one of my very favorite spots. We’ll have to make plans to visit next time you’re out! Beautiful piece, Marjorie! The imagery and thoughts are both lovely.